The Taranga Hills are a famous ancient hilly range in Kheralu in the Mehsana District of Gujarat. 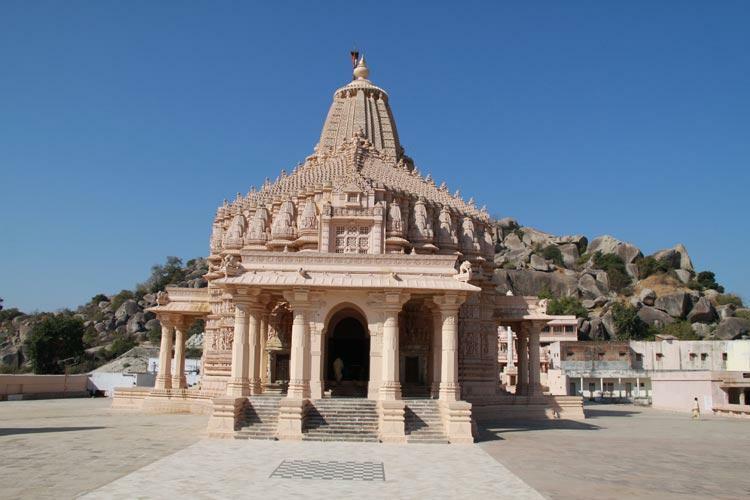 The city of Taranga is a renowned pilgrimage spot in Gujarat due to its Jain temples and ancient Buddhist drawings. The Taranga hill trail is full of beautiful locales that date back to ancient phase. The Taranga hills also comprises of the Taranga Fort that was established to keep attackers away. The path to the Taranga hills also has famous carvings from the Buddhist era. The hill top also comprises the Jogida ni Gufa, which is an ancient cave founded by monks centuries ago. The hills are a rare blend of both Jainism and Buddhism style temples and sculptures spread all around. The Taranga hills also hold the Kotishila temple erected by Digambars. The temple is home to Mallinathji who was the 19th Jain tirthankar. The temple area is ideal for visitors who prefer mental peace and spiritual se visiolace. The gorgeous temple of the Ajitnath sums up a striking pose as the visitors enter the Ajitnath Prasad Vihara. This temple is constructed from sandstone and based over spiral winding pillars. On the top of the temple is a big cemented lotus. The tourists can also take a visit to the nearby Taranamata Temple that was earlier not easy to access. The huge popularity of the Taranga Hills has made the Taranamata Temple to get closer to this side of the hills which is easy for the tourists. This makes this tourist spot in Gujarat ideal for both the sects of Jainism. In addition, the Taranga Hills also is house to a deity of the Jain preacher Ajitnath which is the center idol. The Taranga hills are situated on the arms of the Aravalli Hills at the backdrop of the city. The hills can be reached by metered autos and also by private cars. Public and tourist buses also ply to the famous sight-seeing locale. Vadnagar is the nearest railway station around 20 kilometers away from the hills. The Taranga Hills is an ideal tourist locale in Gujarat that can be visited all-round the year. It holds great value of history and ancient culture. The temples attracts huge crowd from all over the world especially on Mahavir Jayanti.